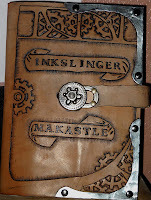 This is my new notebook cover, from Mr.K. I already posted a picture of it to my facebook page (you can go there and check things out) because I'm thrilled! 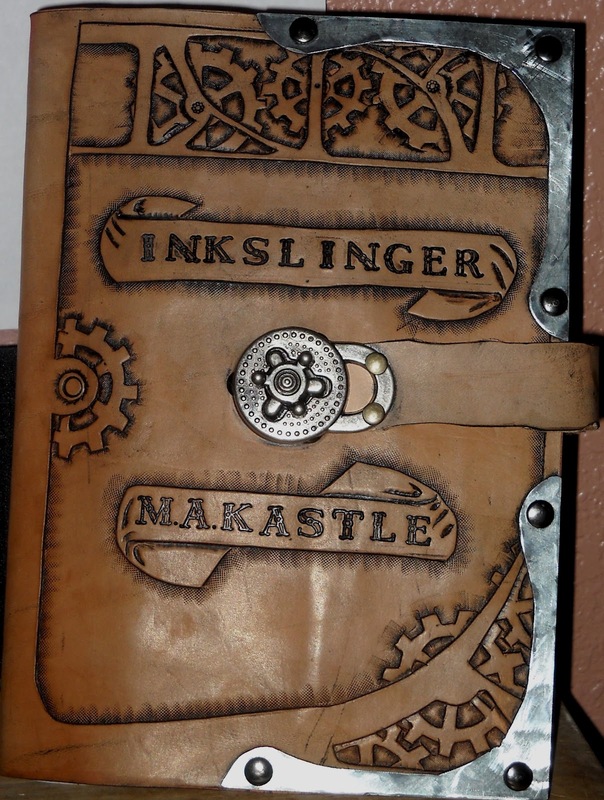 Inside are blank pages waiting for the chance to hold my worlds, characters, emotions, and inkslinging. Whether it be horror, dark fiction, paranormal thrillers, or poems, it will all find a home. On the backside is a quote from Hour of Darkness. Only the italicized words because the entire quote was too long. "The blinding white snow was losing it’s sparkle as the sun continued to go down. It was turning cold and dark. It was as if it knew it could kill you. Evil is cold, death is cold, hate is cold, and winter is cold. That is enough." That looks so neat & cool! So cool!! Good Job Mr. K! Thank you :) And Mr.K sends his regards!